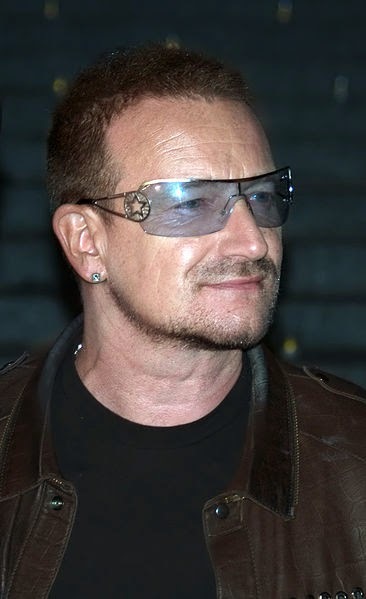 Bono, aka Paul David Hewson, who says, "The world is more malleable than you think." But to those who saw in early U2 an apparent disavowal of punk, a quote from Bono about seeing the Clash in Dublin in 1977 reveals he had, in fact, paid close attention. "It was very clear," Bono recounted years later. "The world is more malleable than you think; reality is what you can get away with." U2 got away with what others only dream about: to be the biggest band in the world." I thought the aphorism had come from RAW. Can anyone tell me where RAW, or Bono, or both, get the phrase? The phrase seems to be a play on "Art is what you can get away with." Originally said by Marshall McLuhan, and then popularized by Andy Warhol. Whether both RAW and Bono hit upon the same variation by chance, or Bono has seen RAW's stuff around, I wonder! This also reminds me of the EWG multi worlds model. Perhaps a universe exists where U2 seems the biggest band in the world. Thanks for the info Bobby. Why does that suggest the aphorism didn't come from RAW? Bono's comment wasn't made in 1977. I suspect Bono read RAW. I've known people in the U2 camp who were into Burroughs and Gysin, one of them collected Gysin's paintings It doesn't seem that much further to leap to RAW. Let's not forget RAW was based in Dublin at the time U2 were bursting onto the world scene. He appeared occasionally on television and radio there too, i believe. It's very feasible that Bono had read RAW. Also, in U2 s early days, Bono and Ali lived in a Montello Tower somewhere on the south side of Dublin. Probably fairly close to, but further south of, where the Joyce Museum is - in another Martello Tower, and right beside where RAW lived. Not at all inconceivable that the two crossed paths.Dublin's not that big a city - human sized as someone said - so very likely their paths crossed. On a side note Bono has Glaucoma hence the shades. Check out the Peter Tosh song: "Bush doctor." So Wilson books would go well with the herb. Reality is whatever's in the New York Times today. I thought everybody knew that.